Sounds mucho isnt it. 10 nicely dressed adults sitting outside on the tiniest stools one can imagine (the ones that turn into walking sticks or weapons), listening to a lecture on the history of New Orleans for 57.5 minutes. In NYC this would require police or at the very least occupy wall street members protection. This was us in the lavish Garden District, half a mile away from homes of papa bear Payton, Sandra Bullock, other celebrities, and 10 miles away from Nicholas Cage’s future grave. We were touring with Tree of RaconTours who not only knows his history but also knows his trees. Tree also got the Sweet Deal. The Deal that no other Garden District guide got. 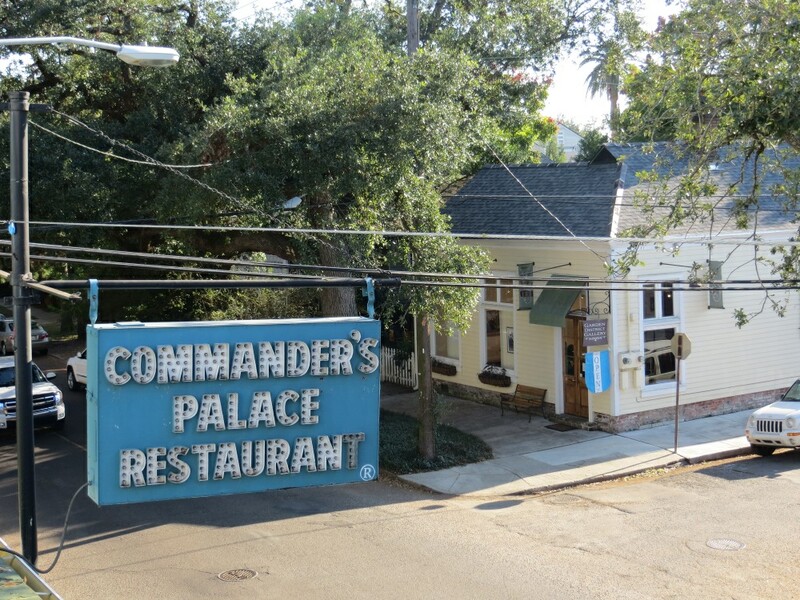 A deal with a legend called Commander’s Palace where Tree started is NOLA career as a waiter. Commander’s Palace – This is an institution. 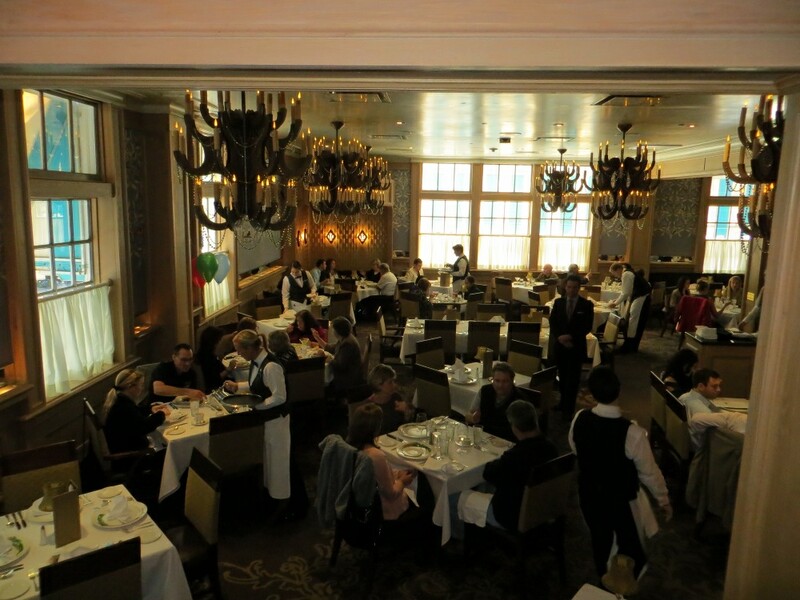 One of the oldest and most famous restaurants in America and the birthplace to legends like Paul Prudhomme and Emeril Lagasse. We got a private room with a balcony overlooking the famous Lafayette cemetery. This was one of those lunches that was one of the least memorable flavor wise (more of a testament to the other places) but the most memorable overall. The only oohs and aahs came from the fabulous turtle soup although it was fairly small (large coffee cup size). It was nice and thick and very rich in flavor (27 ingredients packed in this one). Another app of shrimp and tasso was good. 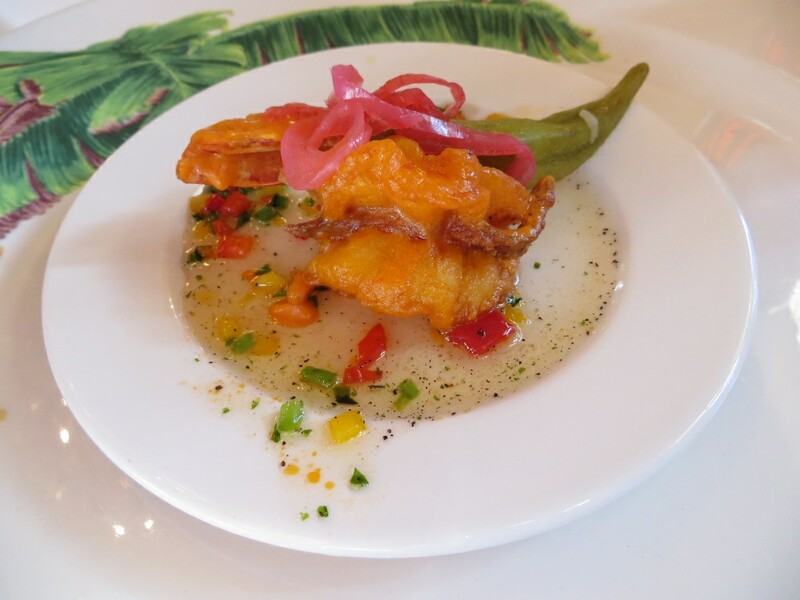 Loved especially the pickled okra side. The shrimp and grits were good but not as savory as the wonderful shrimp dishes from the night before. I enjoyed the Cajun Cochon de lait a bit more. 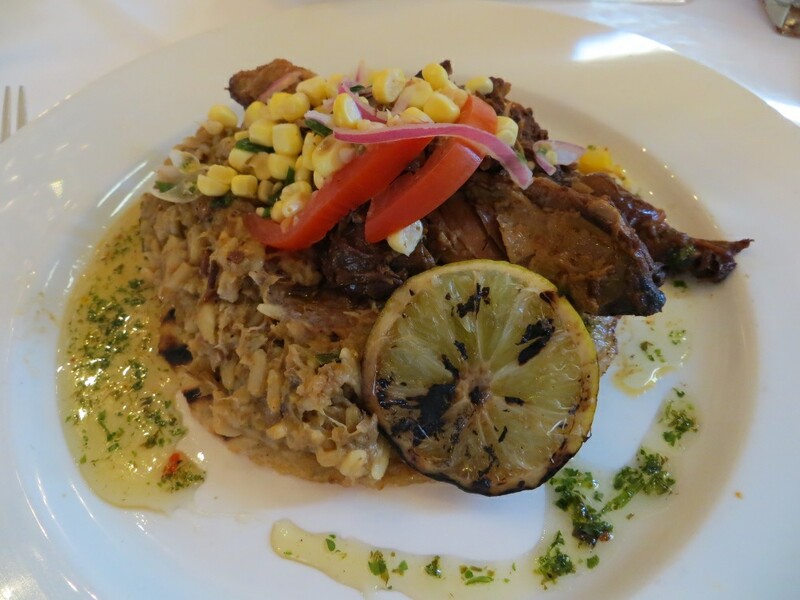 Tender, savory pulled pork, boudin, corn and other goodies on a homemade tortilla. Took a bite of the brisket, not as good as boucherie’s. The famous bread pudding soufflé was good but again falls behind the others. 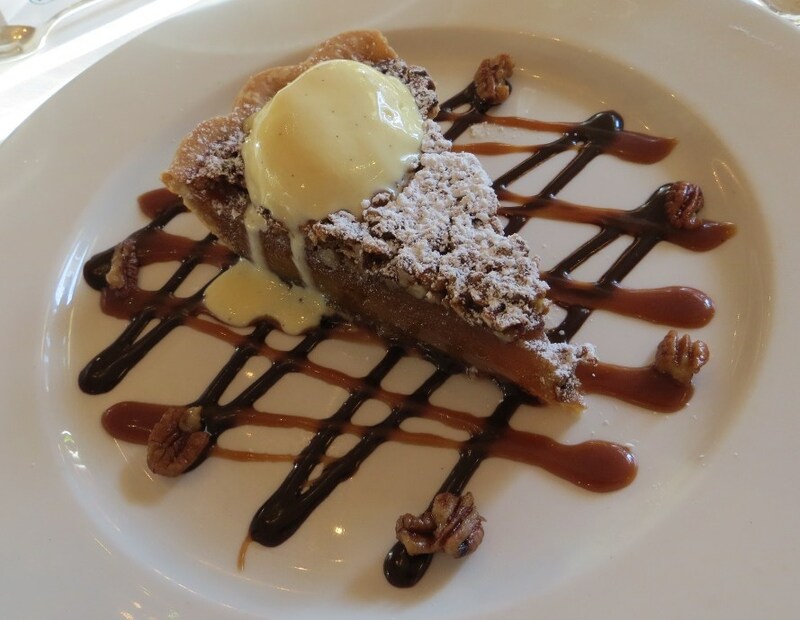 I actually enjoyed the pecan pie more at CP. 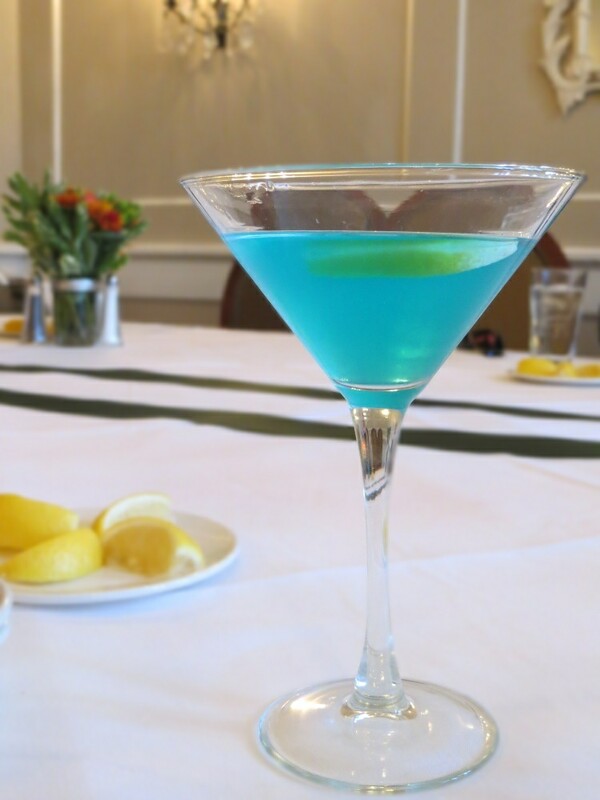 The unlimited 25 cent martinis on the other hand makes everything taste better. 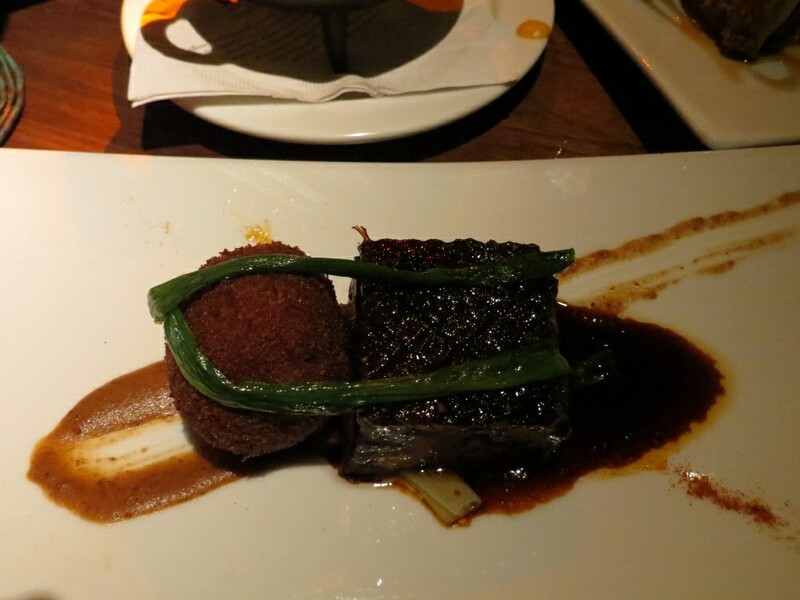 Overall a very enjoyable, fun and exceptionally memorable meal However do it in style! Do it with Tree! 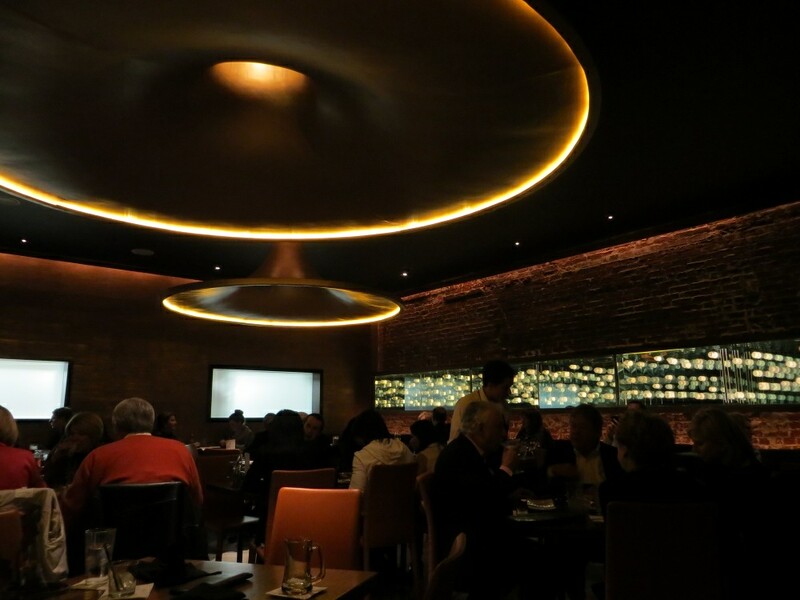 SoBou – What a fantastic meal! 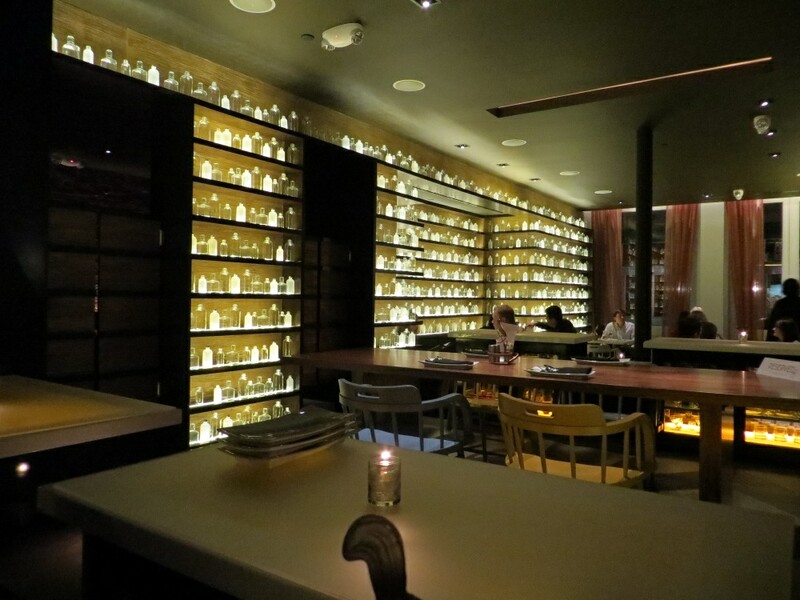 Great drinks, beautiful decor, nice vibe, and one of the more enthusiastic waitresses I’ve ever seen. Or maybe she was high. Not sure don’t care. As for the food, loved the cajun queso – pork cracklings with the sickest cheese fondue ever. The girls really enjoyed the butternut squash with honey soup. Very sweet but savory. The tuna ice cream cones were just ok for me. Yes its original, unique, cool, but that does not always translate to full of flavor. 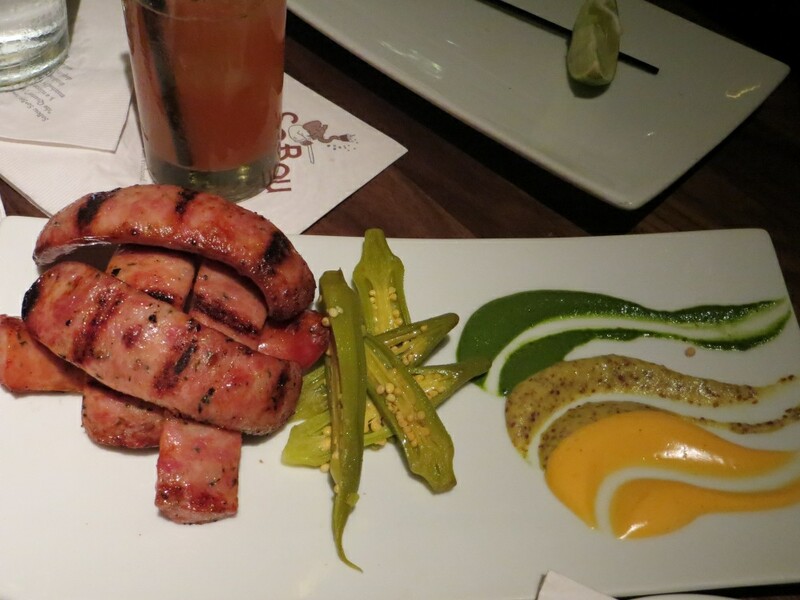 Excellent alligator sausages and more of those awesome pickled okra we enjoyed throughout the trip. Need to start looking for that at home. The star perhaps was the pork belly with another fantastic boudin. We were split on the Duck debris and butternut beignets. The girls like them, the boys didnt care for them. Ok here’s the thing with the cherry jubilee bread pudding. Great overall and perhaps the best one we tasted so far but not enough cherries in something thats called cherry jubilee. We (in a fun nice way) mentioned it to the waitress and she said we were not the only ones to mention it and that they were probably running out of cherries. The dark and stormy banana rum cake ordered by the Hummus Whisperer who was still raving about the dark and stormy at boucherie was enjoyable as well.